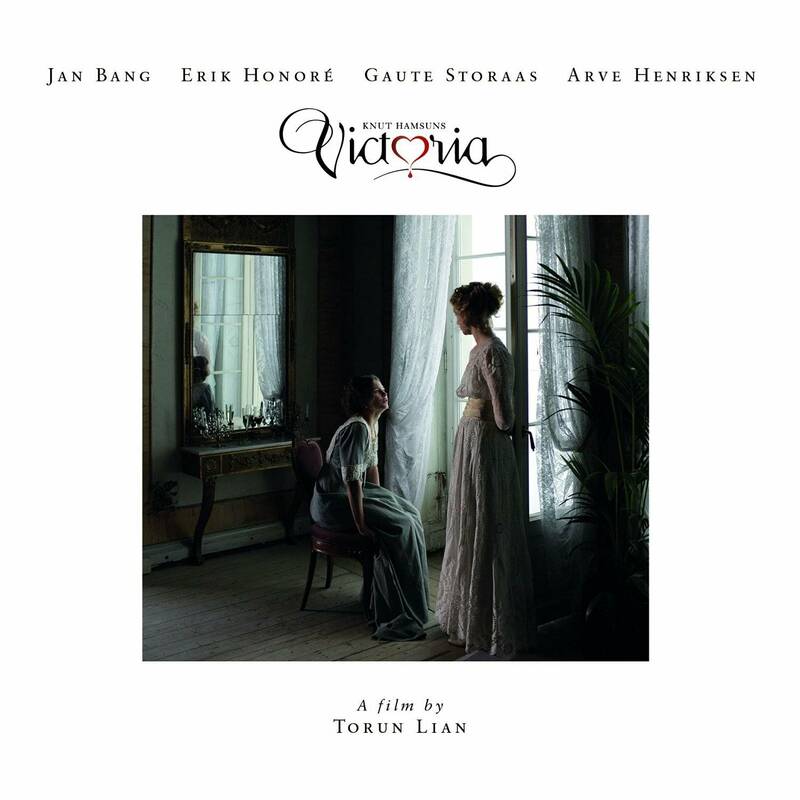 The Norwegian musicians Jan Bang, Erik Honoré, Gaute Storaas and Arve Henriksen have composed the music for the film 'Victoria', based on Knut Hamsun's novel. They have also performed and produced the score, which features the pianist Tigran Hamasyan, the guitarist Robert Jürjendal and the Bratislava Symphony Orchestra conducted by David Hernando Rico. Given the cinematic nature of albums like …and poppies from Kandahar (SamadhiSound, 2011), Uncommon Deities (SamadhiSound, 2012) and Cartography (ECM, 2008), it should come as no surprise to find trumpeter/vocalist Arve Henriksen and electronic sound sculptors/Punkt Festival Artistic Directors Jan Bang and Erik Honore collaborating on a film soundtrack, in this case Norwegian director, playwright and novelist Torun Lian's screen adaptation of fellow Norwegian and Nobel Prize laureate Knut Hamsun's 1898 novel, Victoria. Just released in March, 2013, the film is already garnering critical acclaim, and if the soundtrack to a film is not necessarily essential to its success, there certainly are antecedents where films actually become transformed for the better by their scores. Having not yet seen the film, it's impossible to make that judgment, but it is possible to place Victoria—co-written by Bang, Honoré, Henriksen and Norwegian bassist/orchestrator Gaute Storaas—in that smaller group of film scores that stand as independent entities. Knut Hamsun's Victoria's 15 largely orchestral miniatures may clock in at just under forty minutes, but it's music best heard in its entirety, its own narrative unfolding with gentle dignity, grace and occasional power. Armenian-born/Los Angeles-resident pianist Tigran Hamasyan (a recent inductee into the "Punkt Family") delivers "Theme from Victoria" with spare elegance, its haunting melodism picked up by the Bratislava Symphony Orchestra, the two entities beautifully interacting with collective, temporal ebb and flow. Henriksen makes his first appearance on "Winter," his instantly recognizable trumpet tone engaging with Bang and Honoré's samples to evoke an image so strong as to render it unnecessary to experience onscreen. Bang, Honoré and Henriksen's extant musical breadth has been further honed by nearly a decade of Punkt festivals—not just in its hometown of Kristiansand, Norway, but elsewhere in the world, including London, Mannheim, and Tallinn, where Bang first met Robert Jürjendal, the Weekend Guitar Trio guitarist/composer who also contributes to Victoria. Bang and Honoré's longstanding partnership, dating back to their teens, also means they work together with rare empathy; two very different personalities, but ones capable of completing each other's musical thoughts the way others in long-term personal relationships do the same with each other's sentences. Collaborating with Henriksen is nothing new for the duo, but Storaas adds significantly to the picture, particularly on fully orchestral pieces like the dark "The Rescue" and more optimistic "Camilla's Theme." "Funeral," on the other hand, draws upon "Opening Image," from Henriksen's Chiaroscuro (Rune Grammofon, 2004)—one of three recordings recently collected in the limited edition, seven-LP Solidification (Rune Grammofon, 2013) box—though this version is shorter and, while based on the original composition's foundational structure, features entirely different but equally compelling vocal and trumpet performances from Henriksen. With new projects constantly in the works, including Henriksen's overdue follow-up to Cartography and Punkt's ninth year in Kristiansand approaching in September, Bang, Honoré and Henriksen continue to raise their bars—individually, collectively and reciprocally. With Knut Hamsun's Victoria, they've moved into an area that was, perhaps, inevitable, but with the same imagination and contextual sensitivity that's characterized their other work; hopefully this is just the first of many film scores to come.